Many boat owners are looking for a more moving audio experience in their boats. 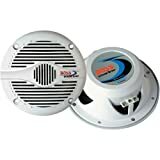 There are many marine speakers which are specifically designed to offer this experience. Breakthrough engineering and use of innovative materials has made it possible for modern marine speakers to give extreme audio output. 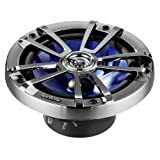 The following is a review of the best marine speakers which are designed to deliver the best-in-class performance for music lovers, especially those wishing to upgrade or replace their factory speakers. Infinity marine speakers bring a superior and high quality sound to your boats. They are made with a precise construction with strong and weather-resistant materials to keep the party going for several years. The Infinity Reference 612m are 6-1/2” speakers that feature a polypropylene cone which is bounded to a UV-resistant and tough rubber. The design allows the speakers to deliver full bass response and the same time maintain excellent resistance to moisture and sunlight which can significantly reduce its lifetime. Moreover, it has a corrosion-proof basket which is made of cast-polymer. The basket helps in shrugging off deterioration due to UV rays and moisture. The speaker has a non-removable grille which is specifically treated to retain the shiny and stylish finish of the speaker. 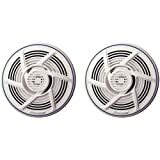 It has a 1-inch griller mounted tweeter that offers excellent projections for high frequencies. Other highlights of this speaker includes; sensitivity of 92 dB at 2.83V, frequency response of 50Hz-20kHz, power range of 2-75 watts RMS with 225 watts peak power and stainless steel mounting hardware. Boss Audio MR60w is a 6.5-inch round marine speaker. It is designed to endure the harsh conditions of the sea. All the grill sections and frames of this speaker are made of a polymer composite which is waterproof and treated with a coating for protection against UV rays. The waterproof package is surrounded by poly propylene cones and tinsels lead to prevent corrosion. Some features of the Boss Audio MR60W include an impedance of 4 ohms, 40 oz. magnetic structure, peak power of 200 watts and 80 Hz-20 kHz frequency range with a sensitivity of 90 dB. Others include a 1” mylar dome tweeter for clear highs, a two-way speakers and 200 watts peak power. The TS-MR1640 is a mid-level marine speaker. It is manufactured by Pioneer a well-known brand for car and home hi-fi sound systems. The dedication and quality of this brand is reflected by TS-MR1640 speakers. The TS-MR1640 is a 6.5” woofer and features a 1.25” dome tweeter which is mounted on the same axis. The cone of the woofer is made from IMPP or Injection-molded polypropylene, which is a reliable material for use in tough environment such as sea life. The material makes the speaker resistant to water and damage due to salt and UV rays. The TS-MR1640 features a 30-watt nominal power rating and a sensitivity of 91 dB/W/m. The peak power of the speaker is rated at 160 watts meaning it can easily handle snare drum which may get louder when playing a rock song. The speaker also boasts an impedance of 4 ohms, frequency response range of 30 Hz-30 kHz, 2 lbs unit weight and dimensions of 6.5 by 2.25 inches. The style and aesthetics of the speaker are quite good as they are enhanced by black trim and white cone. Whether you are at the dock or out on the water, any of these three speakers can easily add a new look and experience in your boat. They are specifically built for marine use with quality materials that offers protections against sunlight, heat, corrosion and water. Poly propylene is used in all the three speakers because it allows manufacturers to control their design parameters. It also has high internal damping and maintains consistency from one unit to another.